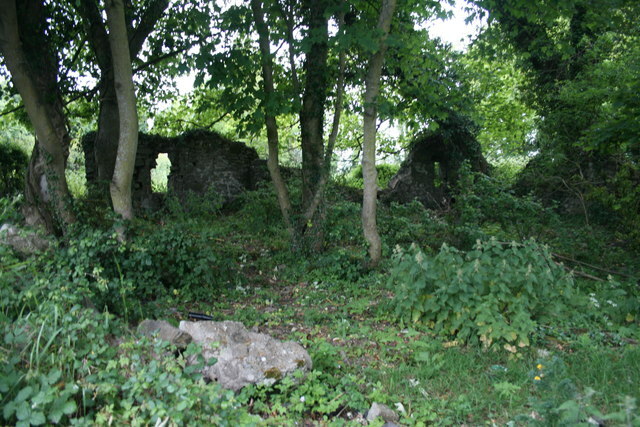 According to the Meath Heritage Trail plaque sited nearby, for centuries Beamore Crossroads was a place where locals gathered for entertainment. Card games, skittles, melodeon-playing and ‘pitch & toss’ took place here in front of the ‘Viceregal Lodge’ as the small gate house was humorously titled. Social life at the cross roads declained after the 1950s and this is a picture of the ‘Viceregal Lodge’ as it stands today. © Copyright Brian Lenehan and licensed for reuse under this Creative Commons Licence.